Learn about the best Applied Behavior Analysis - ABA autism therapies that are currently the only scientifically validated treatment most schools for autism include as part of their curriculum. There are a variety of therapies that utilize ABA to teach complex behaviors by breaking them down into small component responses. Discrete trial training is the most commonly known form of applied behavior analysis, which is often used to teach communication with PECS pictures or other types of verbal behaviors. In general, I believe this type of therapy to be a GREAT way to help children learn, but also be sure to check out other types of treatments that when all used together can help a child progress even further. If you are looking for ABA therapy in the Indiana area, I am now working as a Board Certified Behavior Analyst supervising ABA programs for Hopebridge Pediatric Specialists. Be sure to check us out!! Applied Behavior Analysis was originally used for children on the spectrum by Dr Ivar Lovaas in the 1960’s. Today it has become one of the most widely used treatments for autism, but unfortunately it can be very costly due to requiring one on one attention from a trained therapist. Learn more about applied behavior analysis in general by clicking the link above. Discrete trial training (DTT) also referred to as Discrete Trial Instruction (DTI) is one of the most commonly used type of ABA. It is used to help children with different levels of autism or pervasive developmental disorders (PDD) acquire necessary behaviors for day to day functioning. During treatment sessions there are typically a series of 10-20 trials conducted for each behavior the therapist is trying to establish. PRT is a naturalistic method of ABA Autism Therapy originally developed by Dr. Robert L. Koegel and Dr. Lynn Kern Koegel, at the University of California, Santa Barbara. It was created as a way to promote stimulus and response generalization, increase spontaneity, reduce reliance on prompts, and increase motivation while still utilizing ABA principles. Like DTT, it is also used to teach appropriate play, social skills, communication/language, academic skills, and decrease undesirable behaviors. However, direct and natural reinforcement are used to encourage efforts and not necessarily a specific behavior. Pivotal behaviors, that are the focus of each session include self-management, ability to respond to multiple cues, motivation and the child's initiation of communication. 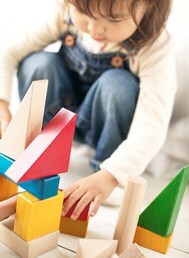 Individuals that provide ABA autism therapy are usually referred to as ABA therapists. They require special training and often times may have a related degree. If you are looking for a therapist to provide these treatments for your child, be sure to check out the link above for tips on finding one. Many parents of children with signs of autism would like them to attend a school with an ABA program. Schools for autism work best with the use of applied behavior analysis as the core basis to help the child learn. However, it can be difficult to find a school in your area. If you are interested in getting more information about ABA schools be sure to click on the link above. PECS or picture exchange communication systems are a treatment method used to help children with characteristics for autism and speech delay be able to communicate. Communication is a key component to eliminating difficult behaviors. By providing children with pictures of different objects and actions, they are able to express their wants and needs without undesirable behaviors. These systems are commonly used as part of an ABA autism treatment program. Learn how to use pictures for children with autism symptoms or delayed speech. PECS training is a great way to avoid temper tantrums or other aggressive behavior in children due to limited verbal behavior. These may also be used to create a picture schedule to help children know what to expect each day. 1. Pivotal Response Training. Autism Speaks. www.autismspeaks.org. 12-3-11.